As a small business owner you’re looking to keep a lid on operational costs, but you’re also aware of the effect your business has on the environment. Fortunately, there are ways you can reduce the greenhouse gas impact of your business and save money too. Solar panels turn a warehouse roof into an energy asset. The best way is to install a solar panel system on your office or warehouse rooftop. Many Australian businesses are following this clean energy trend and installing solar to cut costs. Did you know state and federal governments offer incentives and rebates to encourage uptake of solar power by businesses? We’ll take a look at these below. PLEASE NOTE: For information on rebates, incentives and other forms of financial support for systems 20 kW capacity and larger, please see our commercial solar incentives page. From May 12, 2015, businesses with an annual turnover of under $2 million can claim an instant asset write-off on all purchases below $20,000. This applies until June 30, 2019. This means businesses can claim the cost of solar panel and battery installations immediately. Usually this must be spread over several years. Households and businesses that install eligible solar panels receive Small-scale Technology Certificates (STCs). STCs have a dollar value and can be redeemed in a government-regulated market. Energy Matters can arrange to provide a point of sale discount on the cost of your solar system if you assign your STCs to us. This saves you the hassle of registering for the market and selling the certificates yourself. The STC system is a major financial driver behind Australia’s solar boom. It’s part of a program begun by the Howard Government in 2001 to encourage solar power and lower carbon emissions. However, the STC scheme is being phased out. The number of STCs issued is decreasing each year and will reach zero by 2030. Find out how many STCs you are currently eligible for here. 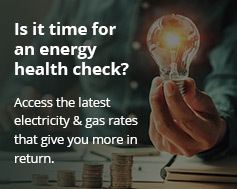 A feed-in tariff is where your business is paid by your electricity retailer for electricity you feed into the main grid from your solar panels. Rates and conditions vary from state to state and from retailer to retailer. Find out about feed-in tariffs in your area. Hot water can be one of the most energy intensive applications in a business. By installing a solar hot water system or heat pump, you’ll not only slash your electricity bills and greenhouse gas emissions, you can receive a point of sale discount through the STC system described above. PLEASE NOTE: For details of financial support available for solar panel systems 20 kW capacity and larger, please refer to commercial solar incentives information.